Sergey (koloved) awarded D4328: Boolean modifier: new option to set bevel weight / edge crease for new edges a Dat Boi token. Sergey (koloved) awarded rBe2f23d91b989: OpenVDB Voxel remesher: Initial implementation a Manufacturing Defect? token. Sergey (koloved) awarded rB7c194b367e35: Automasking System: Topology automasking initial implementation a Love token. Sergey (koloved) reopened T58621: Wrong colors with some float TIFF files as "Open". Sergey (koloved) triaged T58621: Wrong colors with some float TIFF files as Confirmed, Low priority. Sergey (koloved) awarded D4367: Triangulate modifier add side limit a Love token. Sergey (koloved) added a comment to T62044: Can't Import FBX from maya. Sergey (koloved) awarded T61767: duplicate-move doesn't work on parented objects a Love token. Sergey (koloved) created T61518: Normal map isn't working correctly (wrong Roughness and SSR, even light). Sergey (koloved) added a comment to T58647: Micro freezing when GPU usage 0-3% on a Hi_dpi screen (4k monitor in my case). Yes! Yes ! It does! so nice and smooth! But how we can help others users? Daniel Paul (DaPaulus) awarded T58647: Micro freezing when GPU usage 0-3% on a Hi_dpi screen (4k monitor in my case) a Love token. Sergey (koloved) added a comment to T58795: the Unwrapping function doing wrong calculation. Sergey (koloved) created T58795: the Unwrapping function doing wrong calculation. Sergey (koloved) awarded D4029: Implement a Track Surface constraint a Yellow Medal token. Sergey (koloved) added a comment to T58265: Blender 2.8 Beta crashing in Sculpt Mode. Sergey (koloved) added a comment to T58761: UI flickering lines after saving. Sergey (koloved) updated the task description for T58752: Outline Width setting doesn't working for 2.80, in 2.79 is working. Sergey (koloved) created T58752: Outline Width setting doesn't working for 2.80, in 2.79 is working. Sergey (koloved) updated the task description for T58746: Tab-Workspace make whole window of blender black and crash. Sergey (koloved) created T58746: Tab-Workspace make whole window of blender black and crash. Sergey (koloved) awarded D3601: Use 3D cursor rotation for new objects a Like token. Sergey (koloved) awarded D4021: Setting for the polybuild tool to automatically create quads a Love token. Sergey (koloved) created T58674: Knife Tool isnt working with two and more objects in edit mode. Sergey (koloved) renamed T58647: Micro freezing when GPU usage 0-3% on a Hi_dpi screen (4k monitor in my case) from Micro freezing when GPU usage 0-3% on a Hi_dpi screen to Micro freezing when GPU usage 0-3% on a Hi_dpi screen (4k monitor in my case). Sergey (koloved) updated the task description for T58647: Micro freezing when GPU usage 0-3% on a Hi_dpi screen (4k monitor in my case). Sergey (koloved) created T58647: Micro freezing when GPU usage 0-3% on a Hi_dpi screen (4k monitor in my case). Sergey (koloved) added a comment to T58424: sculpting problems. Sergey (koloved) added a comment to T58315: shader editor doesn't full screen. 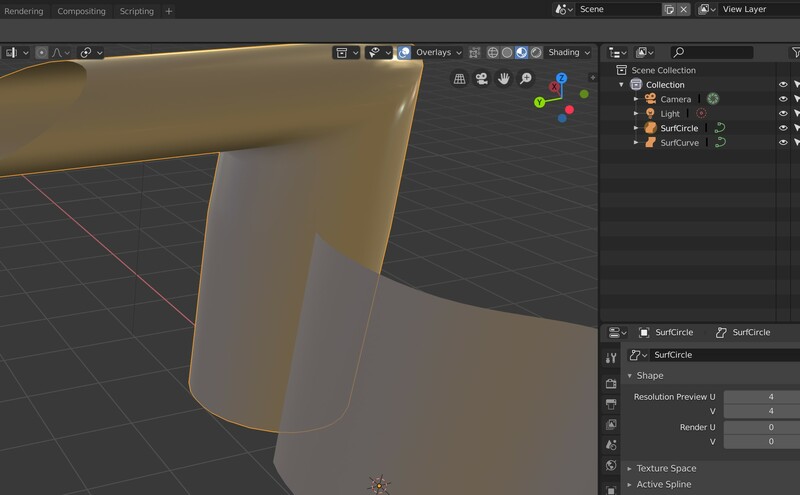 Sergey (koloved) added a comment to T58310: Crash When Removing Multi-Res Modifier from Sculpt Object. Sergey (koloved) added a comment to T58298: Nurbs circle and curve dont draw in objectmode. Sergey (koloved) added a comment to T58188: Extreme FPS loss (24x) between 2.79 and 2.8 with particle systems. Sergey (koloved) created T58300: Hard to select light. Sergey (koloved) edited projects for T58022: switching between tabs makes preferences weird, added: BF Blender: 2.8; removed BF Blender. Sergey (koloved) added a project to T58022: switching between tabs makes preferences weird: User Interface. Sergey (koloved) created T58022: switching between tabs makes preferences weird. 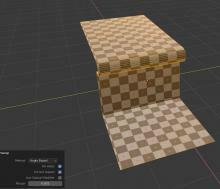 Sergey (koloved) added a comment to T50878: Laggy viewport for blender steam version. Sergey (koloved) created T50878: Laggy viewport for blender steam version.